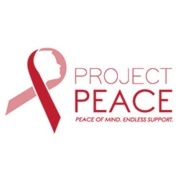 Created over 200 “Peace Paks” that are distributed to Head & Neck cancer patients to assist with the side effects of treatment. The Paks contain many items that are beneficial during treatment but not covered by insurance including mouth sprays, lotions, protein powder and other products . Work with local Patient Navigators and patients to provide practical needs such as covering car repair costs so a patient can get to and from treatment on their own. Cover electric bills or rent payments for families that are facing hardships due to their treatment. Donated two Bells to area hospitals for all cancer patients to “ring” at the end of their treatment to signify and celebrate the end of their treatment.